NEW ORLEANS, LA – FEBRUARY 1, 2016 – Textron Systems Marine & Land Systems, a Textron Inc. (NYSE: TXT) business, announced today a contract with SpetsTechnoExport (STE), a subsidiary of Ukroboronprom (UOP), for the sale of three Survivable Combat Tactical Vehicles (SCTV™). This agreement marks the first sale of the SCTV for Textron Systems Marine & Land Systems. The contract entails the sale of three SCTVs that will be delivered to Ukraine in an ongoing effort to improve the survivability and mobility of its light tactical vehicle fleet. UOP’s interest in the SCTV was realized due to an emerging requirement for increased security and mobility for Ukrainian security, defense and law enforcement agencies. The SCTV meets these requirements due to its numerous protection and mobility enhancements. It features a fully-armored, monocoque v-hull crew survivability capsule designed to provide the highest levels of protection technology available in its class of vehicles. Additionally, engine upgrades and suspension enhancements provide for superior performance and mobility. Developed to provide a more robust platform for the contemporary battlefield while increasing blast and ballistic protection levels to meet the modern day threats of the asymmetric battlefield, the SCTV redefines survivability for the HMMWV. 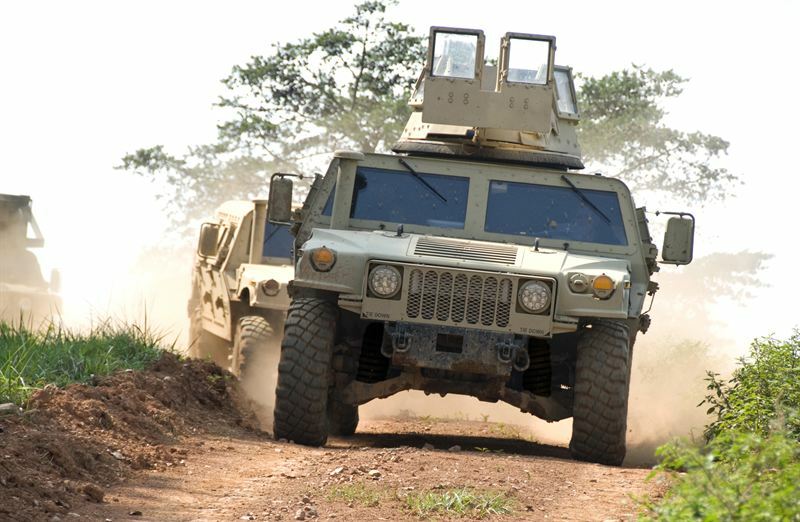 Using patented armor technologies, the SCTV is equipped to handle a variety of missions including fire support, command and control, reconnaissance, engineer support and troop transport. Textron Systems Marine & Land Systems’ innovative SCTV is comprised of three modular upgrade kits that offer superior crew protection while restoring lost vehicle performance and extending the life span of the vehicle. The State Enterprise “SpetsTechnoExport” is one of the biggest exporting companies under the state concern “Ukroboronprom”, specializes on export and import of modern armament, military equipment and technologies, as well as special purpose products. “SpetsTechnoExport” works closely with domestic enterprises, research centers, design bureaus, public and private companies from over 30 countries across the globe. More information at: http://spetstechnoexport.com/. HMMWV is a trademark of AM General LLC. Textron Systems’ businesses develop and integrate products, services and support for aerospace and defense customers, as well as civil and commercial customers including those in law enforcement, security, border patrol and critical infrastructure protection around the globe. Harnessing agility and a broad base of expertise, Textron Systems’ innovative businesses design, manufacture, field and support comprehensive solutions that expand customer capabilities and deliver value.